The Ford Y-Block was introduced in 1954. Displacement was 239 cu. in. Bore was 3.500" and stroke was 3.100" with 6.324" connecting rods. Model year 1954 Mercury vehicles had a 256 cu. in. version with 3.625" bore and 3.100" stroke. Displacement was increased in 1955 to 272 cu. in. for most Ford production cars. T-Bird and Mercury models got a 292 cu. in. version. The added displacement was achieved with a 3.625" bore and 3.300" stroke for the 272 and 3.750" bore and the same 3.300" stroke. The 3.100" crankshaft is marked EBU, while the 3.300" crankshaft is marked EC. In 1956, a 312 cu. in. version was introduced and installed in all Mercury models, and as an option in 1956 T-Birds and some high-line Ford models. The 312 had a 3.800" bore and 3.440" stroke with a shortened 6.254" connecting rod. 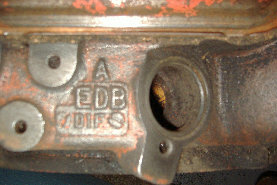 The block crankshaft and connecting rods all have the ECZ identifier denoting special 312 parts. Although all Y-Blocks use the same connecting rod bearing with 2.188" rod journal the main bearing size was increased from 2.498" on the EBU and EC crankshafts to 2.625" for the ECZ 312 crankshaft. The letters DIF cast near the distributor identify parts cast at the Dearborn Industrial Foundry. A three-digit casting number will be found nearby, typically EBU or ECG. As stated, EBU is a 239 while ECG indicates a 272. Cleveland Foundry parts have an F surrounded by a semicircle to identify their source. The Cleveland foundry cast the larger 292 and 312 blocks, and the casting number can be found above the oil filter. 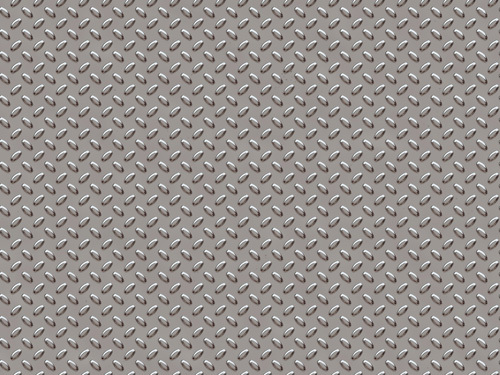 Since 312s were machined from the same block casting as a 292, they are nearly impossible to identify externally. Any casting number used on 312 blocks was also used on 292 blocks. Although most 312s were ECZ5015 followed by A, B or C, these can also be a 292. The best way to identify a 312 externally is by checking the flywheel flange on the crankshaft. The 312 ECZ crankshaft has an aspirin-sized dot on the outer edge. If the engine is disassembled, check the casting number on the main cap. ECZ is cast into 312 main caps; all others are EBU. Regardless of the source, the external dimensions of all Ford Y-Blocks are the same. Any year exhaust manifold will bolt to any year head. Flywheels and bell-housings are interchangeable along with timing covers and crankshaft dampers. There are some parts specific to the 1954 EBU 239 engines. These include the fuel pump, water pump, oil pump, distributor, cam bearings and camshaft. From 1955 until the end of production in 1964, parts can be easily interchanged. Y-Block production at the Dearborn foundry ended after the 1957 model year with the introduction of the new FE and MEL series of engines. Production continued at the Cleveland foundry while the Y-Block was installed in cars through 1962 and trucks through 1964. 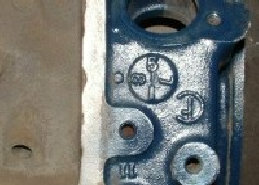 Y-Blocks were also used for industrial power plants and converted for marine use by Dearborn Marine. 1956-1957 cars only. 292 with EBU main caps. ECZ main caps 312. Replacement block. Marine and fleet use. 1959-1960 cars and trucks. 312 with ECZ main caps. 1959 and 1960 Mercury only. Early Lincoln OHV engine. Not interchangeable with Ford. *302 cu. in. 3.625" X 3.66" -1963 HD Ford truck steel crankshaft. 332 cu. in. 3.80" X 3.66" -1963 HD Ford truck steel crankshaft. There is also a 332 FE but not the same as the Y.